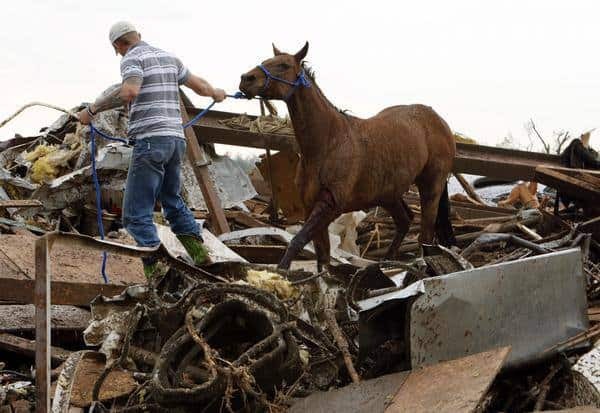 At least one horse farm was impacted by the devastation. 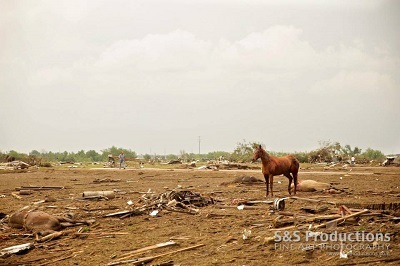 The Orr Family Farm, located in Moore, was struck and ripped apart. Farm worker, Lando Hite, told a local news station he didn’t realize the monster storm was coming until minutes before. He released some of the horses and took refuge in a stall before the storm touched down. The stalls and barn are gone. “There were horses and stuff flying around everywhere,” said Hite. 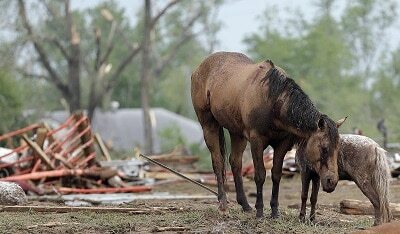 Unconfirmed reports state 75 horses were killed despite the worker’s best efforts to save them. Tony Vann, a spokesman for the operation, tells Rate My Horse PRO all of the workers are safe. He says he can’t confirm the number of horses killed or injured. He said other animals also lived on the property as a part of the farm’s petting zoo. The Orr family own both. There are reports of another large farm in the area with horses also killed. Vann says officials are not allowing anyone in or out of the area. If you can offer assistance, go to Horse Evacuations East, but Vann says no one should travel to the affected area. 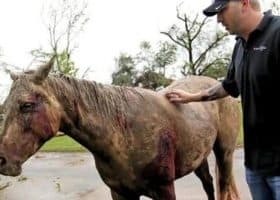 If your horse is missing, after the tornado, please contact our partners at Netposse.com to file a free missing horse report. To donate to the The American Red Cross go to their site or text REDCROSS to 90999.